Each ROX Facilitator is paired with a ROX Coach upon completion of their facilitator training and receives job embedded coaching, support with her program launch, assistance with evaluation, reporting, parent/staff involvement & program scheduling, alignment with school goals, metrics & standards and funding & sustainability. Our talented coaches are experienced, expert ROX Facilitators in their own schools/communities, with a broad knowledge of the ROX curriculum, implementation and research. Melissa is the Elementary School Counselor at West Greene Elementary Center in Waynesburg, PA. Melissa has been a ROX Facilitator for the past three years and has implemented the ROX programs with 6th grade girls. "I’m so proud and fortunate to be able to offer ROX to all of my 6th grade girls! I remember hearing about ROX several years before I got the chance to actually go through the facilitator training, and it is truly an honor to offer the ROX program to my students as it helps them see themselves as the ROXstars that they already are!" Leah is school counselor at Mayfield Middle School near Cleveland, OH and have been a licensed school counselor for the past 10 years. She has facilitated ROX for girls in grades 5-12 since 2007, when I was a graduate student at OSU. Leah credits ROX for her own personal growth throughout the years. 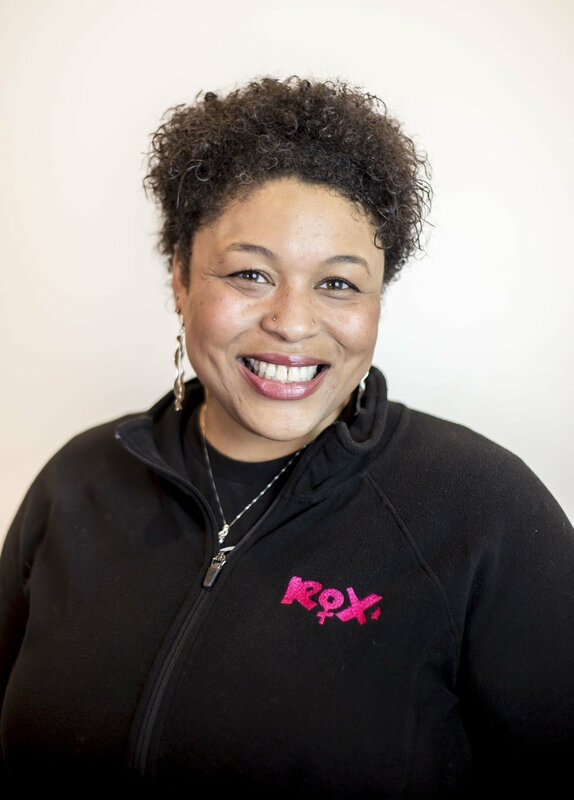 "ROX is a part of me, and I’m extremely passionate about the opportunity to serve young girls each school year by teaching and modeling strength, assertiveness, risk taking and confidence. I am a wife and mother of three children, including one daughter. Because of this, my responsibility to teach and live a ROX 'lifestyle' has become a professional and personal commitment!" Tammy graduated from The Ohio State University with a degree in Psychology. After graduation, she worked for 5 years as a program manager for Big Brothers Big Sisters. During those years, Tammy had the opportunity to conduct divorce groups in the Marion City Schools. She loved working with the students so much that she decided to return to college and earn her Master’s Degree in School Counseling from the University of Dayton. Tammy has been working in the field for 15 years and is currently the K-2 School Counselor at North Union Elementary in Richwood, Ohio. She has been involved with ROX since 2014 and continues to facilitate 5th grade programs at the elementary level. “Mrs C” was present at the think tank when Dr. Hinkelman introduced the idea of creating a program for girls based on her years of research. As a counseling supervisor for The Ohio State University College of Education, Mrs. C oversaw the implementation of the first ROX programs. Her role was to support the interns in structuring the program to accommodate the school setting and maintaining the intentions of the ROX curriculum for the participants. She really is the "OG" coach! Steph graduated from Baldwin-Wallace University with a dual-degree in Neuroscience and Psychology. After her undergraduate program, she attended The Ohio State University to pursue a Master's degree in School Counseling. Steph has been involved with ROX since 2011 and has facilitated high school and elementary school level groups in Columbus City Schools at South High School and Clinton Elementary School. Steph worked with Dr. Hinkelman and the ROX team on The Girls' Index research and is currently a psychological assistant at a private practice while she completes coursework for her Board Certified Behavior Analyst license. Jaime is a social worker at The Fulton County Health Department, located in Wauseon, OH. She is blessed to devote her entire work week to the development and sustainability of ROX throughout Fulton County. Jaime began facilitating ROX in 2015 at one school in the county and has since expanded programs countrywide to all seven area school districts! As the mother of four daughters, the ROX program is not just a job for Jaime, it’s a personal mission. Katie first became involved with the ROX Program during her gradate program at The Ohio State University. After graduating, Katie worked at the elementary level in Worthington City Schools, where she facilitated 5th grade ROX groups for over 100 girls. Now living in northeast Ohio, Katie works in Strongsville City Schools where she is running the first ROX program in this district. 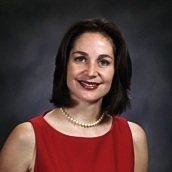 Nancy received her Bachelor’s degree in Psychology at the University of Colorado-Boulder. As a graduate student, Nancy took part in piloting one of the first ROX groups. Nancy has devoted her career to working with adolescents and their families and currently works at Grove City Christian School, where she began the school counseling program. Nancy has facilitated ROX for the past 6 years with 8th grade girls. Heidi is an elementary assistant principal with a passion for encouraging girls to push stereotypes. She first learned of ROX when I was looking for something to encourage 21st century skills among the 4th grade female students at my school. At a public STEM school of choice, Heidi found that girls and boys both entered the school at equal numbers but a gender divide developed as students moved up through high school. Heidi continues to encourage girls to explore STEM fields with the confidence they develop through ROX. She is also invested in the work done through ROX programs as a mother of three girls! Stefanee has been a School Counselor for 6 years and a ROX Facilitator for 4 years. She currently implements ROX with 5th and 6th grade girls at Slate Hill Elementary School in Worthington, Ohio. Stefanee majored in Psychology at The Ohio State University in 2011 and immediately continued her education at OSU in the Counselor Education program. Amanda is a middle school counselor at a rural school district in Union County, Ohio. She first became involved in ROX as a graduate student at The Ohio State University in 2010. Since then, Amanda has facilitated groups at both the middle school and high school levels. "I feel very fortunate to be a part of a supportive school district with colleagues who also see the importance of ROX. Currently, my district runs about 6 ROX groups each school year and I love being a part of such a strong ROX community!" Lori is a school counselor at Green High School near Akron, OH. She first became involved with ROX in 2012 after attending a session presented by Dr. Hinkelman at the All Ohio Counselor Conference. Lori fell in love with the program and made it her mission to bring it to our community! Since that time, Lori has been involved with ROX in a number of different capacities and during the 2016-17 school year, her district ran a total of seven programs at the middle and high schools. Liz is a School Counselor at Metro Early College High School in Columbus, OH where she runs ROX with 9th grade girls. Liz first became involved with ROX in 2008 as a graduate student at The Ohio State University and has run ROX programs in all of her schools for the past 9 years. "I love collaborating with my school counseling graduate student interns each year as they implement their first ROX groups at Metro!" Angel has spent the past 17 years as an educator and school administrator in the state of Michigan, working everyday to ensure that all girls are empowered to be their best self. Since her facilitator training in 2015, she has been a fierce advocate for growing the ROX program in Tecumseh Public Schools, where we started the first-even ROX program in the state of Michigan. "Hundreds of girls in my district have become part of the ROX family and I’m excited to continue growing that family. I am proud to be a ROX girl!" Misti graduated from The Ohio State University in 2002 with degrees in Sociology and Women’s Studies, before earning her Master’s degree in School Counseling from the University of Dayton in 2005. She worked as a School Counselor for Licking Heights Local Schools for six years before moving to Granville Middle School in Granville, OH. Misti learned about ROX at the All Ohio Counselors Conference 4 years ago and has been inspired and motivated by being a ROX facilitator since. Jill is a school counselor and ROX Facilitator at Beacon Elementary in Hilliard, OH. Jill majored in psychology at Wittenberg University and has worked for many years in Children’s Ministry at Upper Arlington Lutheran Church. She returned to grad school and became a school counselor in 2013 and was introduced to ROX from a counselor colleague in her district. "As a ROX facilitator, I love the opportunity to be a positive role model for our girls. My hope is to empower my girls to be healthy, independent and believe in themselves. It is a joy to watch my 5th grade girls learn to trust each other while learning to navigate growing up in today’s digital world. It is my goal to bring ROX to all of my 5th grade girls." Kelley has been a school counselor for over 20 years and currently works at New Albany Intermediate School in New Albany, Ohio. Kelley became a ROX facilitator during the summer of 2016 and has been facilitate programs each year since. Sarah graduated from Miami University with a degree in Psychology and Women’s Studies. After nearly a decade working with at-risk youth and re-entry programming in the juvenile justice field, she returned to college and earned her Master’s degree in School Counseling from The Ohio State University. She has been involved with ROX since 2011 and has facilitated middle and high school level groups in the Columbus, Ohio area at Linden McKinley STEM Academy, Arts and College Prep Academy and Groveport Madison High School. 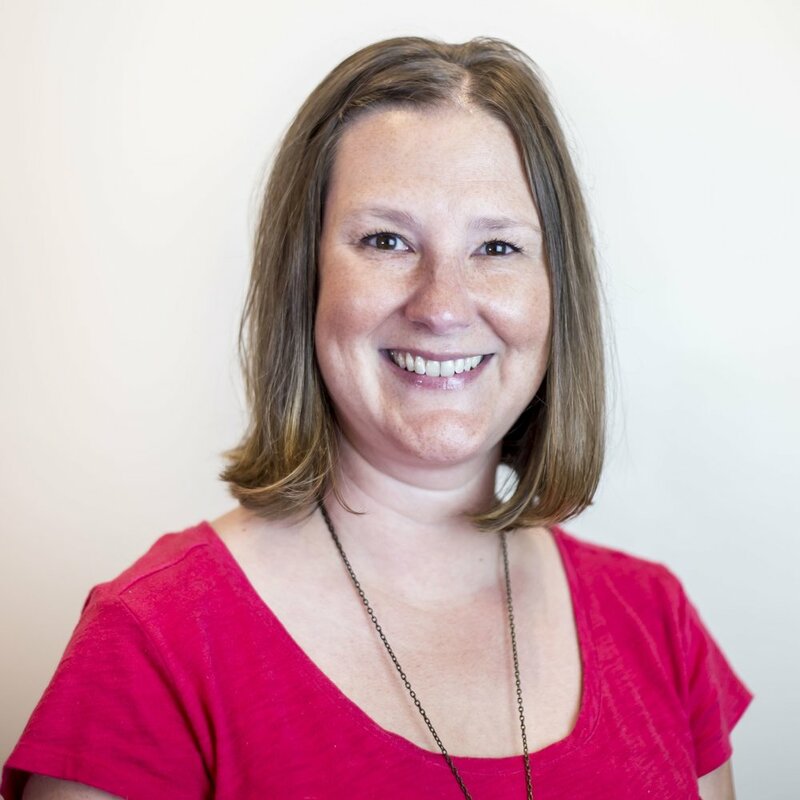 Sarah is a licensed K-12 school counselor currently residing near Des Moines, IA. While earning her Ph.D. in Counselor Education at The Ohio State University, Sibyl began working with Lisa on the development and implementation of the ROX Research Study and Program. She has been committed to the mission of ROX ever since! In addition to being a ROX Coach, Dr. West is also a part of the ROX Facilitator Training team and trained hundreds of educators to become licensed ROX Facilitators. Val grew up in a small town named Wauseon, Ohio. She attended Marietta College where she played softball and earned my Bachelor of Science degree in Mathematics with a Certificate in Secondary Education. Val taught high school Math for 8 years before earning my Master’s Degree in School Counseling from the University of Dayton in 2011. She is currently a School Counselor at Grove City High School. "I have been blessed to facilitate 5 ROX groups so far and look forward to many more in my future.